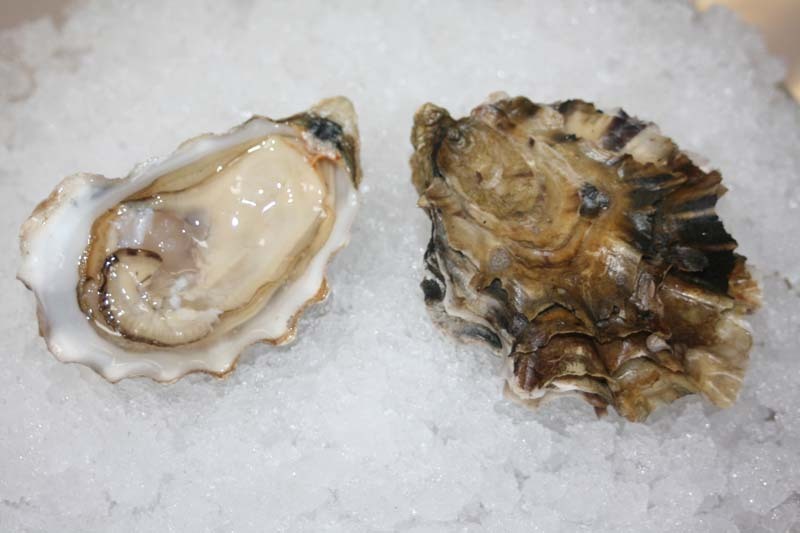 These oysters are raised in Little Skookum Inlet, Washington, which is located in southern Puget Sound near Shelton. Their culture starts in large mesh bags, then they are transferred to the beach for about a year to harden their shells and strengthen their adductor mussels. Deep-cupped and plump, Skookums have an attractive appearance due to the high mineral content of the water in which they are grown. Their flavor is very sweet with a mild fruity finish. Skookum Inlet Oyster - Marinelli Shellfish Co.